Another which replaces the acetabulum (the socket) and is fitted into the pelvic bone. However, the results will not be immediate and after your stay in hospital a full recovery can be expected to take between 3 and 6 months depending on the type of surgery you have, your overall health and how well you rehabilitate. The operation begins with an incision of about eight inches long over the hip joint. The ball and socket are removed and the new artificial parts fitted. Your hip replacement may be put in with a grout referred to as bone cement – a “cemented” procedure. Alternatively an “uncemented” procedure is used in which the artificial joints have thousands of tiny holes that allow the bone to grow into and hold the new parts in place. On occasion a “hybrid” replacement is used, which consists of a cemented ball and an un-cemented socket. 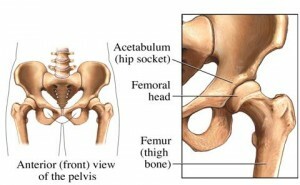 The type of hip replacement you receive will usually have been discussed with you prior to the operation. You will be transferred to the recovery room where you will remain until Professor Haddad and the anaesthetist are satisfied that you have recovered sufficiently before you are transferred back to the ward. Good pain relief is important and some people need more pain relief than others. It is much easier to relieve pain if it is dealt with before it gets bad. Pain relief can be increased, given more often, or given in different combinations. You should ask for help when you feel pain. Dislocation – The risk of dislocation is at its highest when the muscles around the new hip joint are still healing and relatively weak. A hip that dislocates more than once may need to be operated on again so it is very much in your interests to follow the advice you are given. It is generally accepted that hip resurfacings and hip replacements should be kept under surveillance so that potential problems are identified at an early stage. The hip review programme has been established to monitor the performance of your artificial hip.